It turns out that Notch isn't the only guy who can afford to splurge on some swanky digs thanks to the magic of Minecraft. 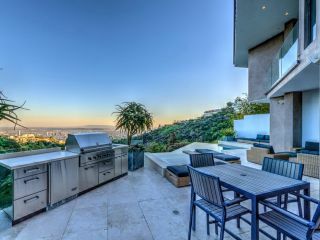 23-year-old YouTuber Jordan "CaptainSparklez" Maron recently splurged on a $4.5 million pad above the Sunset Strip in Hollywood, and while it may not be in the league of Casa Notch, Maron didn't make Minecraft—he just plays it. The house is 4100 square feet, according to Variety, with three bedrooms, five baths, glass-railed terraces on each of the three floors, an outdoor fireplace, sunken wet bar, and a terrace with a stainless-steel barbecue, "party-sized spa," and infinity swimming pool. Suddenly John Carmack's Ferrari seems a bit trite, doesn't it? Business Insider has the photos from the Nicholas Property Group listing. Keep on streaming, kids. Keep on streaming.